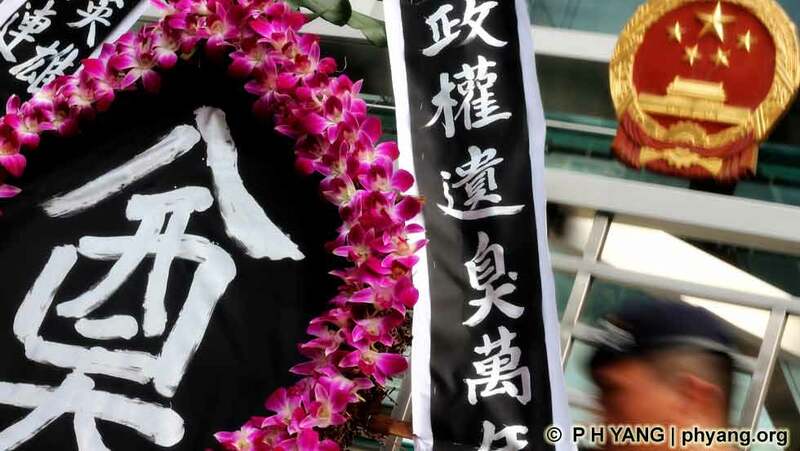 A funeral flower wreath is delivered by activists to the China Central Government Liaison Office in Hong Kong during a National Day rally. 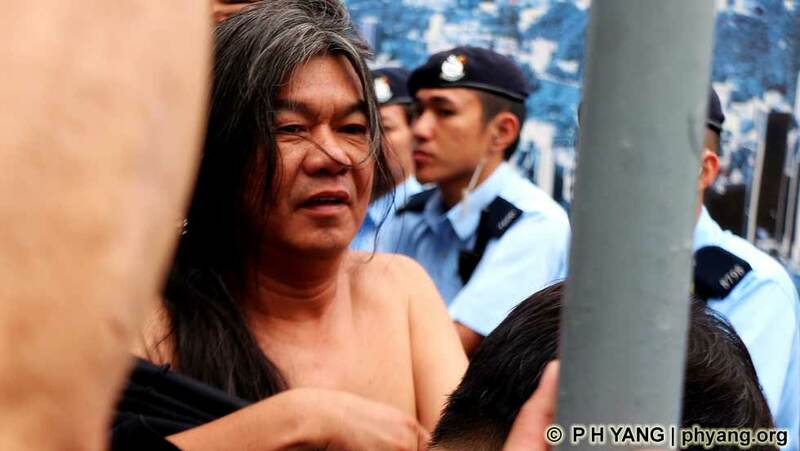 China's one-party rule and poor human rights record. 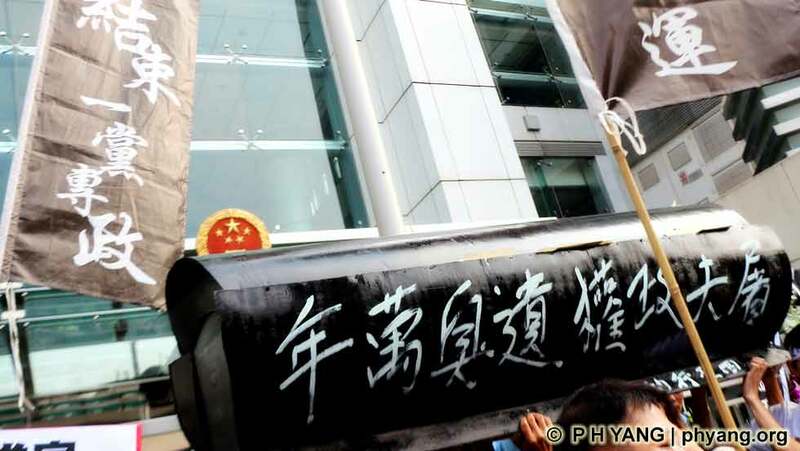 delivered to the China's Central Government Liaison Office. in Western District. 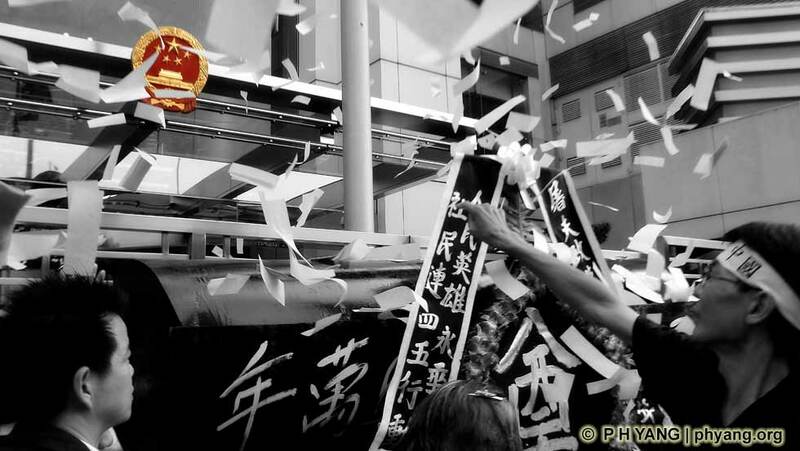 The banner reads 'End one-party dictatorship. 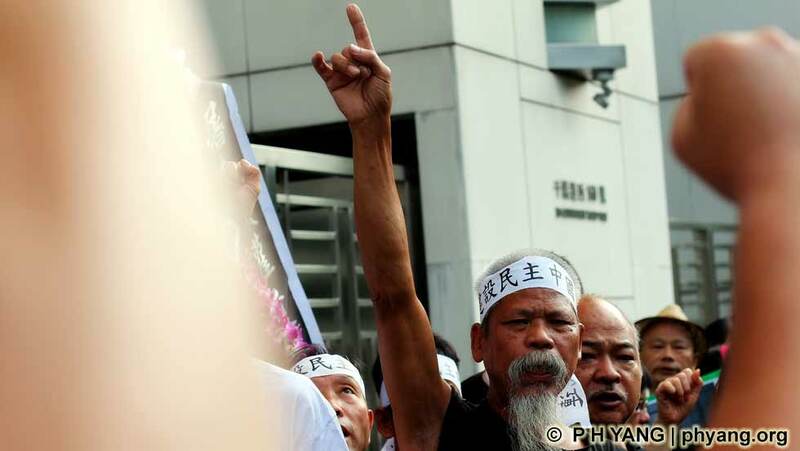 Power to the people'. 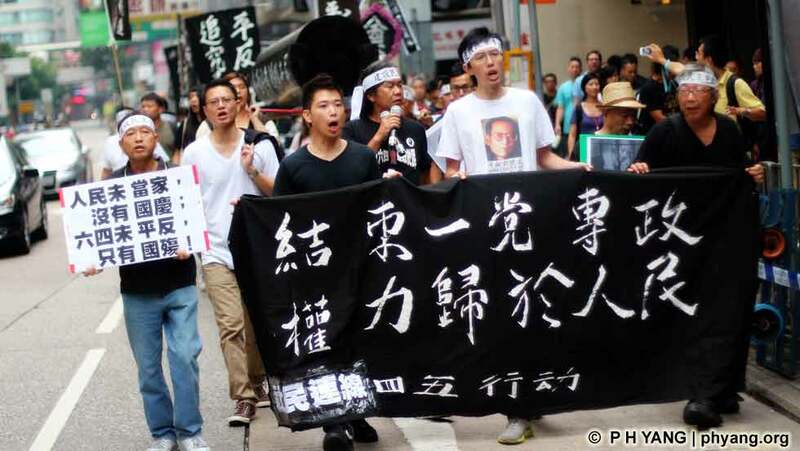 Rally on the National Day in Hong Kong demanding 'Power to the people'. 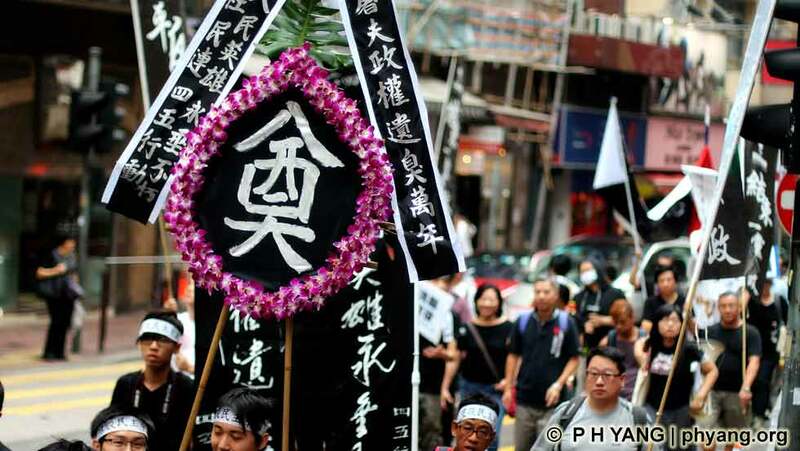 Activists carrying a funeral flower wreath during the National Day rally. 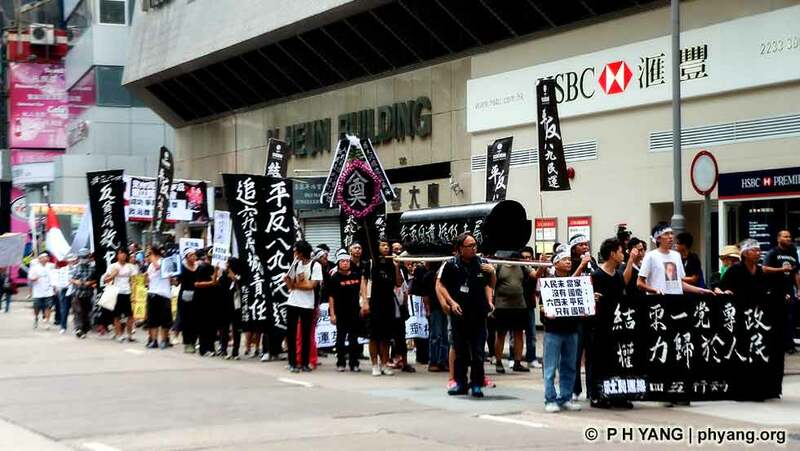 T-shirt before being allowed to attend the Flag Raising ceremony at Golden Bauhinia Plaza. 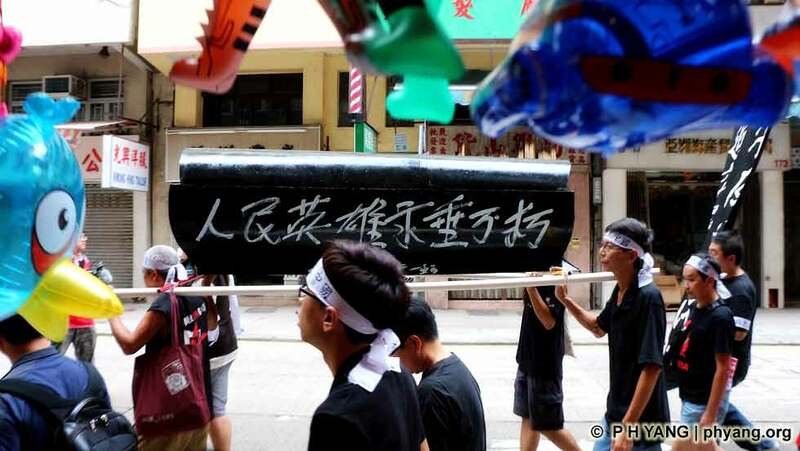 Activists carrying a coffin pass by a shop selling lanterns for the Mid-Autumn festival. 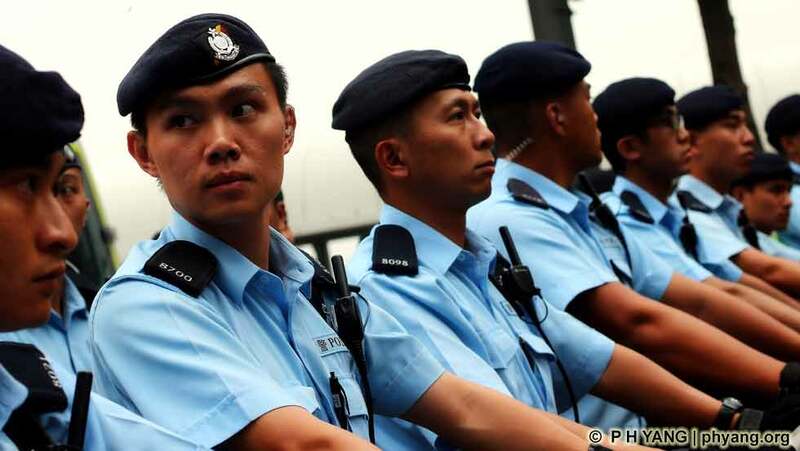 China Central Government Liaison Office.